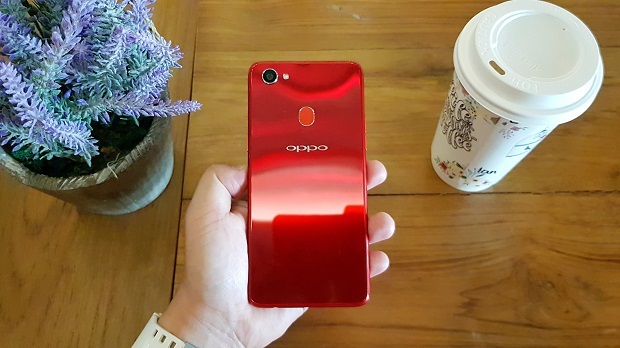 OPPO F7 is RED hot! Here's our OPPO F7 Unboxing, First Impressions, Antutu Benchmark, and Initial Sample Photos. Straight from the heels of success of OPPO's previous smartphone series, the company is ready to take on another year of smartphone battle with the OPPO F7. 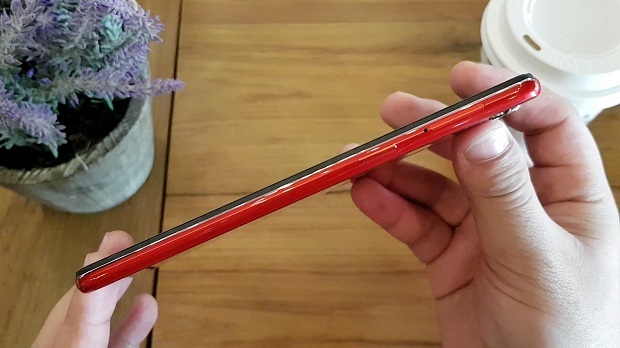 The AI-powered smartphone is a refresh in design and internals of last year’s hero device. 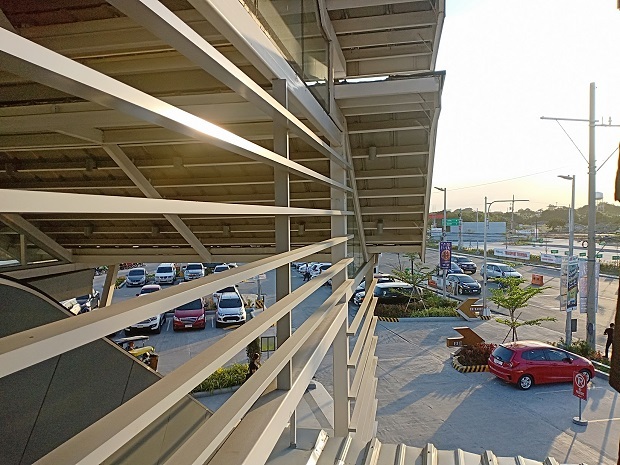 The OPPO F7 is set to be officially announced on April 19 in the Philippines but we are very lucky to have an early experience of the handset. 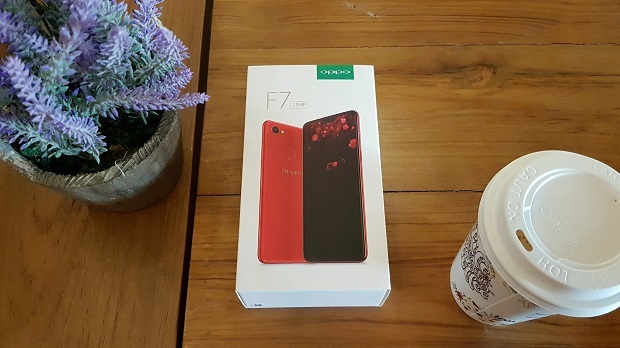 Join us as we discuss what’s in the box and our initial impressions of the OPPO F7. Before anything else, it’s worth-noting that the phone comes with the latest mid-range chipset from MediaTek, the Helio P60. The SoC is developed in a 12-nanometer process. It features four cores of Cortex A73 and four cores of Cortex-A53 – all running at 2GHz speed. Our Solar Red review unit comes with 4GB of RAM and 64GB internal memory. Check out the keypoints below. 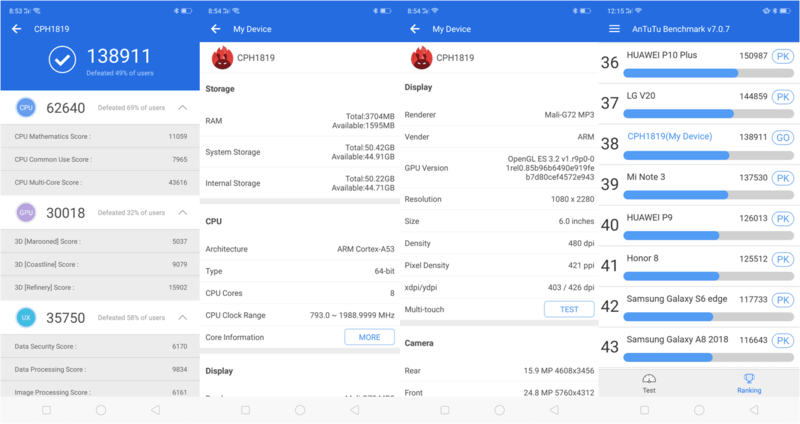 In our Antutu Benchmark test, we were impressed by the OPPO F7's 138,911 score. For the purpose of comparison, the OPPO F5 Youth scored 68913 and the OPPO F5 scored 71095 in the same test. The OPPO F7 takes everything thrown at it with ease in our initial usage. Apps are pulled up fast and I have not experienced drops in frames and app crashes. Let's see if that'll change in our review. You’ll instantly see the striking resemblance to the iPhone X due to the notch - the rectangular cutout in the upper middle edge of the display. I think OPPO is unapologetic with the notch spin-off for several reasons. For one, I’m sure that most of the upcoming Android smartphones will sport this kind of front panel design; as of this writing, I’ve seen several Android phones that sport this design. 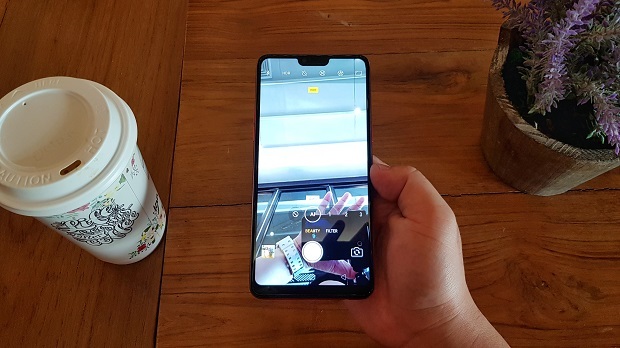 Second reason, the notch houses the 25MP selfie camera which is quite the marquee feature of the OPPO F7. Plus, this rectangular module also includes – in an orderly manner – the earpiece and the proximity sensor. The display is still stunning. The OPPO F7 boasts a 6.23-inch Full HD+ display with 19:9 aspect ratio. To accommodate the notch, the screen is taller compared to what we had last year. Likewise, it’s still an LTPS IPS panel, with a slightly different 1080×2280 resolution. 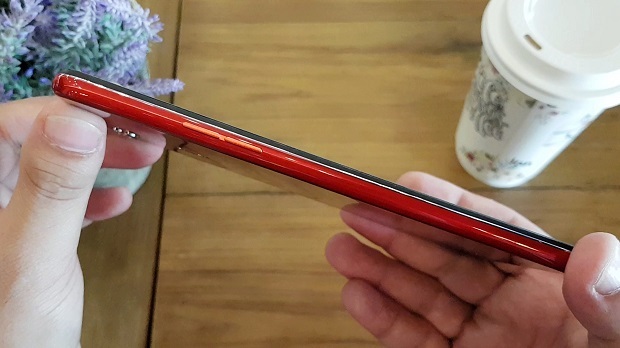 The OPPO F7 dons a plastic body with a shiny finish that is comparable to glass-back smartphones. Its lateral sides are also made of plastic which feature a silver band that runs around the frame. 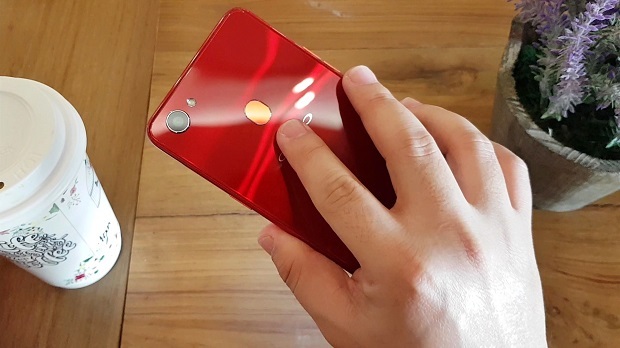 Overall, the smartphone has a glossy finish which feels great on the hands. The downside? The back panel is an instant fingerprint magnet. 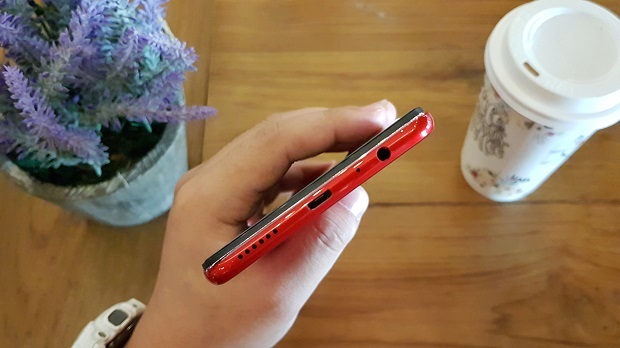 The OPPO F7 still employs the microUSB 2.0 port at the bottom together with the speaker grill, the primary microphone, and the 3.5-mm headphone jack. The handset has a dedicated SIM tray which can be found on the right side with the power button. The left side is a home for the volume rocker; while the top only comes with a secondary microphone. Due to the handset’s taller footprint, it’s hard to reach things with one hand. On the bright side, the OPPO F7 is a light phone. It’s easy to carry around or slide inside the pocket. 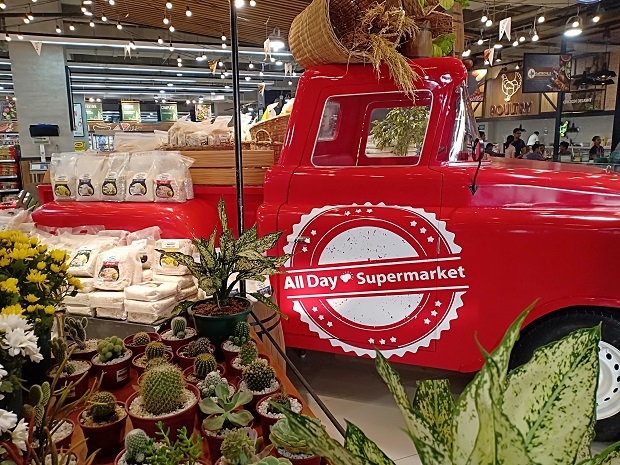 The OPPO F7 one-uped the model it’s replacing with a better Artificial Intelligence tech in its cameras. The new AI Beauty 2.0 uses 296 facial points to apply effects and filters effectively. 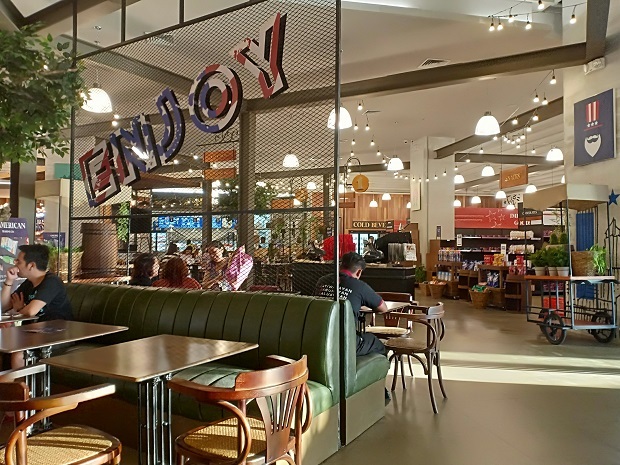 This means that the 25MP selfie camera can easily categorize gender, skin tone, age, etc. and apply appropriate filter using the software suite. Selfies are still realistic with great exposure. New tweaks in the camera app are also noticeable like the AI mode in selfie presets and the new Filter choices. AR Stickers are also fun to use. The 16MP rear camera is also promising. Initial shots of the rear shooter produce great photos with good color accuracy, saturation, and contrast. 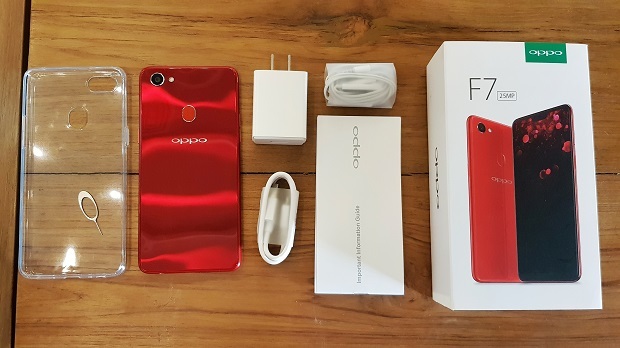 The OPPO F7’s box is quite similar to the company's previously-released smartphone boxes. It's still clad in white with a slide-thru cover. The out-of-the-box items include the headphones, AC wall adapter, micro USB cable, SIM Ejector tool, and user manuals. There’s also a transparent soft-case inside the box, as well as a pre-installed screen guard for the handset’s protection on the fly. 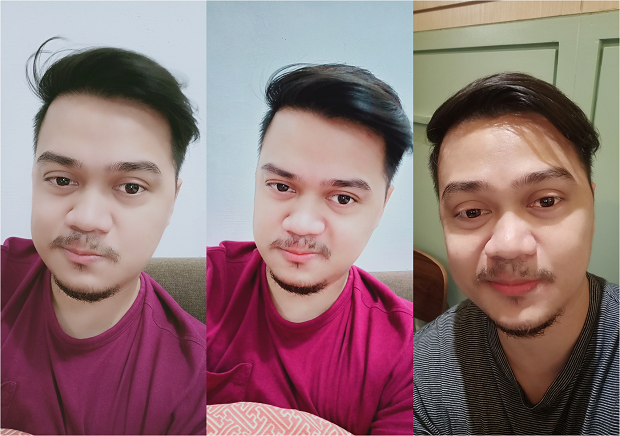 The 25MP selfie camera is definitely a worker in terms of giving great AI-powered selfies. The two main points I love so far is the camera and display. I must admit, the notch has also grown on me. The OPPO F7 is a very promising camera smartphone and we can’t wait to share our review soon. Stay tuned.